Heat grill. In large bowl, combine butter, lemon-pepper seasoning, fennel seed and salt; mix well. 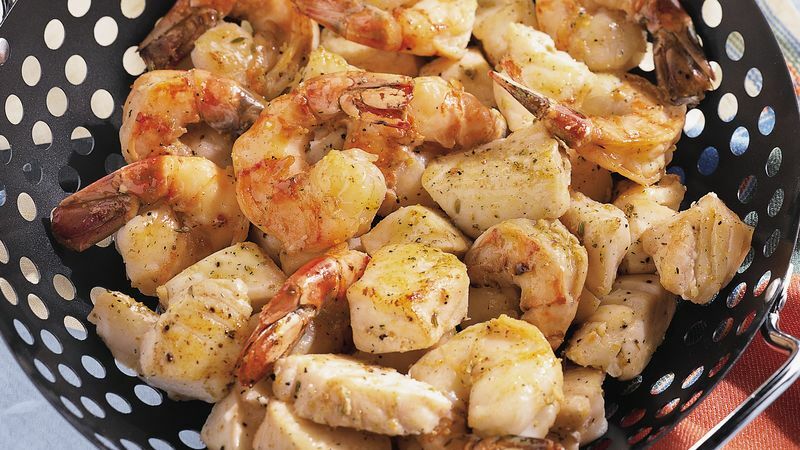 Add halibut and shrimp; toss to coat. Place in grill basket. When ready to grill, place basket on gas grill over medium-high heat or on charcoal grill 4 to 6 inches from medium-high coals. Cook 5 to 10 minutes or until fish flakes with fork and shrimp turn pink.